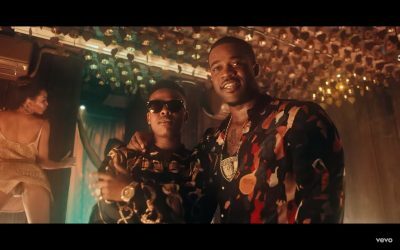 Famous South African rapper,Nasty C, recently released his the music video for "King" featuring American rapper,A$AP Ferg from his Strings and Bling album. "King" video was directed by Meji Alabi of JM Films,an ace Nigerian cinematographer. Meji also directed the previous video of Nasty C "Jungle". In Africa as whole, Nasty C is chosen to be one of the hip-hop artists representing the continent in the global rap scene. As you can see,his collaboration with A$AP Ferg just has gone a step further to prove his dynamism and recognition in the rap industry. album . He couldn ’ t have hit it any better.